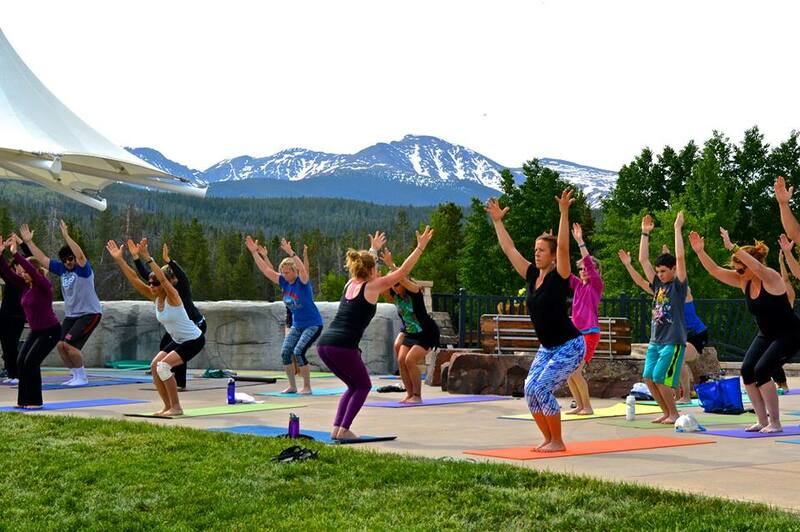 There are SO many ways to exercise in the mountains of Winter Park, Colorado. If you need to switch it up from hiking and biking, our area offers many different types and levels of fitness and yoga classes. With several yoga studios and fitness centers, you can find a class that fits your fitness needs! Scroll down to learn more! Join us every Sunday morning June 18th - August 27 at Rendezvous Event Center at Hideaway Park or Cooper Creek Square from 9am-10am for FREE fitness classes! After a day of riding dirt or riding the slide, come enjoy an hour of relaxation with yoga in The Village. Stretch out by the pond for an hour of free yoga, taught be a local, certified instructor. All ages and skill levels are welcome to participate. This hour will be geared towards stretching your body after a day of play. Mats are available for free, but they are limited and are given on a first-come, first-served basis. All participants will need to sign a waiver (18 and under will need a parent or guardians signature). Yoga will take place every Tuesday from June 13 - August 22, weather depending. This summer Devil's Thumb Ranch is kicking off a Wednesday Workshop Series. Guests will enjoy seminars focused on a range of activities from fly fishing to mountain biking, hiking to yoga and even learning the art of horse whispering. Don't miss these unique summer offerings! Every Wednesday this Summer $20/person For reservations sign up at Zach's Mercantile or Ranch Creek Spa or call 970-726-8231. Wednesdays are our favorite days! Enjoy two more hours of Trestle Bike Park from 5-7pm to ride like a local. Finish a day of work and come grab a few laps in the park. On Friday's, the weekend is here and to reward you for making it through a week of work we are giving you two extra hours in Trestle Bike Park. That's right; ride from 5-7pm on Friday evenings. Hop in your car after work and make it to the mountains with time for a few laps. Located in Fraser, the Grand Park Community Recreation Center is a state-of-the-art fitness and training center with recreational opportunities for visitors of all ages and abilities. YMCA Snow Mountain Ranch of the Rockies: The day pass fee includes all sorts of activities to keep the entire family active! If yoga or pilates are some of your favorite activities at home, being on vacation is no reason to put a kink in your regimen! Visit one of our Yoga & Pilates studios while you're in town. Our local studios offer daily classes as well as private sessions and special events. Check with each individual studio for schedules, pricing and more. Check our events calendar when you're in town, and you might just luck out with one of our signature outdoor fitness events. Look for events including 5Ks, 10Ks, or even "Fitness in the Park" events that will keep you enjoying the outdoors without breaking your fitness regimen.